Student Ministry is like an onion. Layers upon layers of core values, events, curriculum and tacky prom attire make up the whole. Also like an onion, sometimes student ministry stinks and makes us cry! 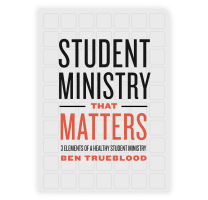 Each layer of Student Ministry requires staff and lay members to make sure it’s done in a way that honors the Lord and points students to Christ. The layer that I would like to focus on for now is the one that most likely smells the best, squeals the loudest, and is most certainly color coordinated to boot. Are you picking up on these clues? 1. Because they are not boys. Simple and true. 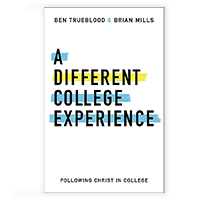 If you have had the opportunity to observe the life of a pre-teen or teenage student then you are well aware that the difference between your guys and girls in deep and it is wide. Do you have a plan in place to minister to her in each of these seasons? 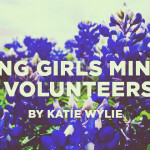 Do you have women in your ministry committed to step up and dive in when one of your girls has a need? 2. Because Titus 2 tells us to. God has created us to live together in community with fellow believers — and even more so created us to learn from and be taught by older men and women! Titus 2: 3-5 presents to us the model that older women are to teach younger women. This a picture that is presented clearly in Scripture and one that I think of often as we assign women to lead discipleship groups each year for our middle school and high school girls. I am not asking you to split up the guys and girls each time you meet throughout the week. 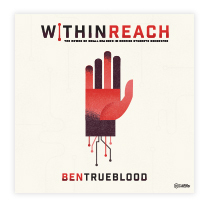 Time together is important and serves a purpose for your student ministry as a whole. But I would challenge student ministry leaders to take a big-picture view of the student ministry and evaluate if you are allowing time for your girls to be poured into by older women. When I look back at my time as a student some of my most profound and life-changing moments happened in the context of studying God’s Word with a mentor and working through the teenage years in a small group made up of girls. Those are moments that I thank the Lord for often and will remember forever. Are you making the Titus 2 model of discipleship and investment available to your girls? 1. Assemble a team of women committed to invest into the lives of your girls. 2. Create opportunities for girls to meet together in small groups to work through gender specific topics and build relationships with group leaders. 3. Allow your girls opportunities to enjoy activities that they enjoy: cooking classes, painting parties, weekly workouts, silly sing alongs, and so on. 4. 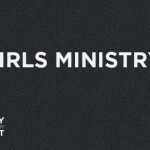 Provide opportunities for your female students to fill leadership roles in girls ministry. 5. Pray that the Lord would open your eyes and ears to see the specific needs of the girls that He has placed in your midst for this season. Amy Byrd serves as the Girls Ministry director at Hunter Street Baptist Church. She also serves on the LifeWay Girls Ministry Leadership team. Here are two books to help with girls ministry: Girls’ Ministry Idea Book and Girls’ Ministry Handbook.